The bar is located a 10-minute walk from BTS Asoke, hidden away from the Soi Cowboy crowd. It offers two floors, two projectors, 14 TVs and a private area to book. Add in that the vibe’s not as claustrophobic as your usual wood-paneled British pub plus a burger that’s the envy of other sports bars, and you’re cheering. The deal: B125 for a pint of Singha during the games. Bangkok’s original real-deal barbecue joint still pulls in a big crowd for its authentic, American-style woodsmoked ribs. Chow down on baby backs and beef brisket while watching all the match-day drama unfold. With three floors to choose from, you’re pretty much guaranteed a seat, too. 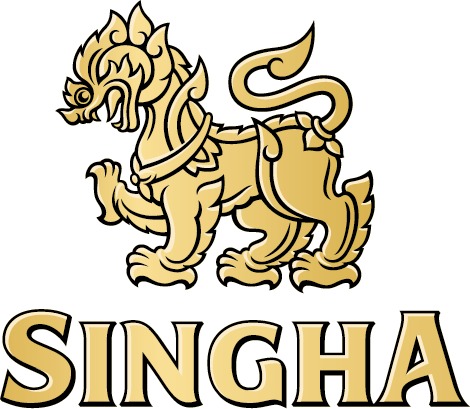 The deal: Special price on Singha pints during the games. This old-school bar and restaurant is a backpacker haven, with a menu that charts Thailand’s greatest hits, a list of fruit shakes as long as your arm and pool tables galore. Seeing as Thailand’s failed to make the grade, here’s a chance to gather your gang and make like a tourist for a big night of World Cup action. The deal: Buy three large bottles of Singha and get one large bottle free during the games. They haven’t made the World Cup since 2002, but you can still invoke the luck of the Irish at this darkwood dominated pub just beside Phrom Phong BTS station. If you’re in need of a bite, the food follows a nightly theme: think Turkey Tuesdays and Burger Wednesdays. This swanky rooftop bar lures beautiful people to its poolside perch atop the Four Points Hotel. The contemporary style setting blends Middle Eastern details, daybeds and house tunes for an energetic ambience in which to catch all the big games. The deal: B99 for a pint of Singha during happy hour. This German restaurant and bar is all about beer, sports and lots of food. Seat yourself indoors if you want live football action or outdoors on their balcony if you’d rather be smoking. Either way, prepare to meet a lot of German national team jerseys. The deal: B120 for a pint of Singha draft during the games. Aiming to bring a beach party vibe to sleepless Khao San Road, this open-air lounge slash nightclub is all sand-covered floors, thatched roofs and a soundtrack of laid-back house and reggae music. Join both the locals and fresh-off-the-boat travelers in cheering on your team. The deal: Buy one Singha tower and get a small bottle of Singha free. Located on the lobby floor of the Citadines Hotel Bangkok, this Sukhumvit Soi 11 sports haven is open 24/7. The decor’s what you’d expect from a standard Irish pub, though a little lighter on the heavy timbers, while the outdoor space is littered with beer barrel tables and tall stools. Most importantly, LCD screens hang from every corner so there’s little chance of missing the live action. The deal: B99 for a pint of Singha during the games. As the name suggests, this is your archetypal Irish pub. The location out at Impact Arena makes it a popular pre-drinking spot before all the massive concerts. You’re also assured a long list of classic pub grub and, of course, big-screen sport. Even if the game’s not delivering the goods, the crowded beer garden delivers prime people-watching opportunities. The deal: Spend B850 for a tower of Singha and get a premium gift. You’ll never drink alone at this oldtimer, which is a favorite among Sukhumvit’s after-work crowds. The beers are ice-cold, the burgers are hefty and you can always grab a game of pool if your team’s down at half time.